Our Amish Reno Sofa Table is modern and fashionable. 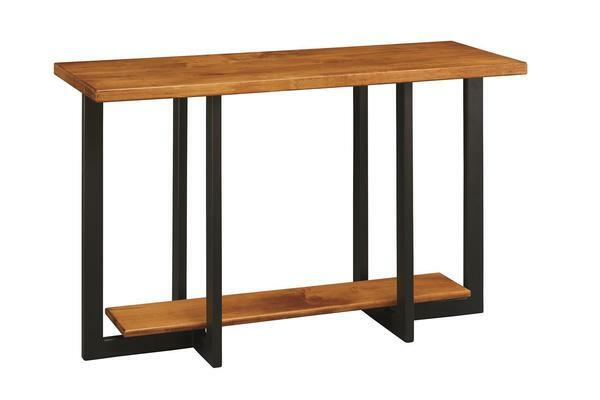 The clean design of this modern accent table juxtaposes solid wood and matte-black steel to create a sophisticated and eye-catching table for the living room, office, entryway, or hallway. Along with the steel base, this occasional includes 1 1/2-inch thick edges on the table top and a shelf. Custom options include your choice of wood and finish, as well as the option to add a glass top.